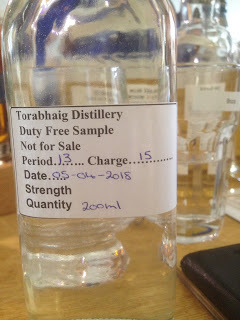 Early last year a new distillery started up on the Isle of Skye, Torabhaig. But when you’ve just started a distillery, you don’t have anything to sell yet, so you come up with an alternative to make the money you desperately need to keep the banks at bay. Some sell gin, some sell casks, some sell others whisky and pass it off under their own brand. These guys have done something a bit different. Become an independent bottler, and prove you know how to select and put whisky together. I was lucky enough to meet and be working with Bruce in the sweatbox of Limburg Whisky Fair, who had some of their stuff. Funny story: on the Mossburn box, it states that the master distiller is ‘Robert Haig,’ but there is no Robert Haig. When the guy was painting Torabhaig on the distillery front, he split it into To-Rab-Haig, and thus a hilarious in-joke was born! Pretty ballsy to put that on your packaging though, fairplay to ‘em! Nose: Malty, salt and black pepper, echoes of Talisker, earthy heather. Taste: Soft and pretty complex for NMS, great oily mouthfeel, salt and black pepper. Finish: Long length. Earthy, heathery chocolate. Bloody good. Super impressed with this. I will be eagerly awaiting their matured whisky! Nose: Lots of Ledaig methinks! Young esters, green apple, Ledaiggian smoke, oily malt, vanilla, buttery. 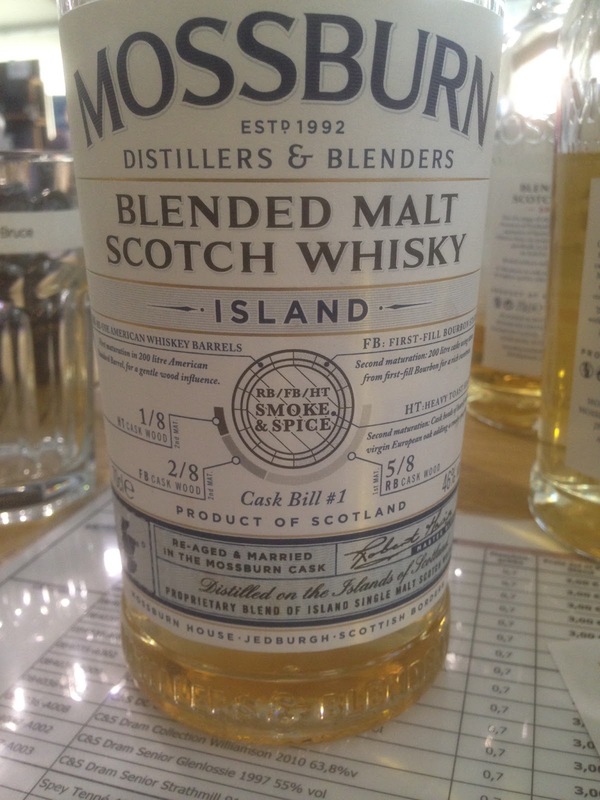 Fresh young smoky whisky with a nice balance. Taste: Soft and light then builds with spice and smoke, black pepper, oily, malt, green apple, buttery. More like a Ledaig + Talisker here. Finish: Medium/Long length. More green apple and fresh smoke. Some dry oak too. For 30ish pounds this is a no brainer. Fantastic stuff from the guys behind Torabhaig. Tastes like there’s a bunch of young Ledaig in there. This was finished in Compass Box-esque recharred barrel ends. Yes, I know I should have tried a bunch of their other stuff but its clear these guys know what they are doing!